The Central Information Commission on Wednesday expressed anguish over the lack of transparency and accountability in the process of appointment of Judges. It further directed the Ministry of Law and Justice to inform an RTI applicant about the current status of the Judicial Standards and Accountability Bill, and other alternate measures proposed to ensure accountability, as also the status of the new Memorandum of Procedure and the National Litigation Policy. 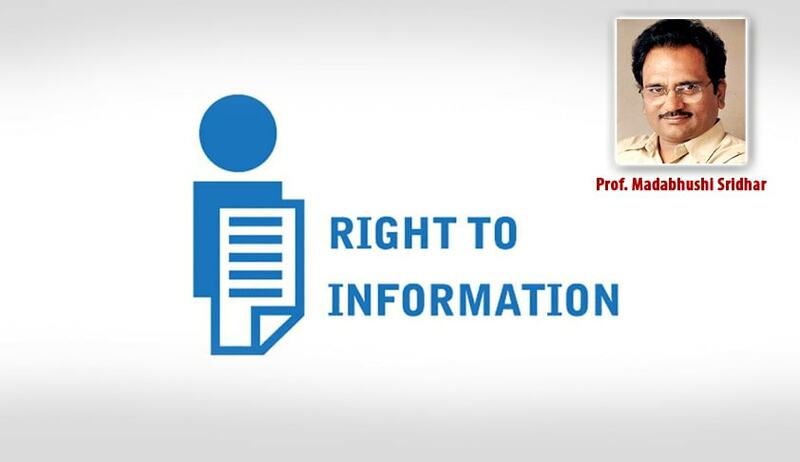 Information Commissioner Prof. M. Sridhar Acharyulu was hearing a Second Appeal filed by Mr. Subhash Chandra Agrawal, being dissatisfied by the response tendered by the CPIO, who had merely stated that neither does the Central Government maintain records of complaints against SC and HC Judges, nor does it monitor the action taken against them. The CPIO had further ruled that the disclosure of names of former Chief Justice of India against whom complaints have been filed would be improper, and might have serious repercussions. This response was upheld by the First Appellant Authority, which opined that the CPIO had given the information based on available official records. However, during the course of the hearing of the appeal, while the Commission opined that the CPIO’s concerns “were quite genuine”, it noted that latter could not explain the exceptions under which the information was being denied. The CIC directed Supreme Court Registry and the Department of Justice to disclose action taken on a complaint against former Chief Justice of India Altamas Kabir. These complaints were filed by Justice V.R. Krishna Iyer and Dr. M. Furquan, and were forwarded from President’s Secretariat to Union Law Ministry, according to a news report referred to by Mr. Agrawal. The Law Ministry was further directed to disclose the steps taken in the matter relating to the alleged leak of a judgement dated 18 July 2013, in the matter of Christian Medical College, Vellore v. Union of India. The verdict was posted on a private website before it was delivered by a Bench comprising Justice Kabir, Justice A.R. Dave and Justice Vikramajit Sen. According to Mr. Agrawal, this instance was also brought before the then Chief Justice of India P. Sathasivam. The CIC opined that if complaints against Judges are rejected for any reason, the fact of such rejection can be shared, without disclosing the names and contents of the allegations. If complaints are, in fact, taken up for further probe, it said that it would be in public interest to disclose copies of such complaints, along with the action taken on them. “Secrecy on such matters give rise to doubts or strengthen rumours or kick up unwarranted discussions in public and media. If some of complaints if proved prima facie are taken up for inquiry, sharing that could be in public interest,” the CIC observed. “At least five per cent of judges should be selected from this unexplored stream of legal academicians to bring a quality change in the judicial process… Legal academicians with good track record of research and writing can develop necessary concepts and script judgments on par with experts on Bench and Bar… New generation of lawyers are coming and most of them are spread over High Courts and the Supreme Court while some of them are pursuing academics after specialization and research. Most industrious and innovative of them could get a chance to enrich the Bench if Article 124(2)(c) is used,” he further observed.